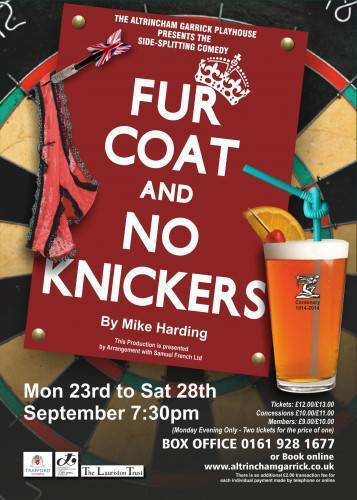 Fur Coat and No Knickers – by Mike Harding opens tonight to a FULL HOUSE – if you want to catch this hilarious comedy, all performances are booking fast – with Wednesday and Saturday nights already nearly full ! – Book Now! and don’t miss the fun!